From panzas to prisons, from street theatre to large-scale multimedia performances, from princess to chafa – Virginia Grise writes plays that are set in bars without windows, barrio rooftops, and lesbian bedrooms. Her play blu was the winner of the 2010 Yale Drama Series Award and was recently published by Yale University Press. 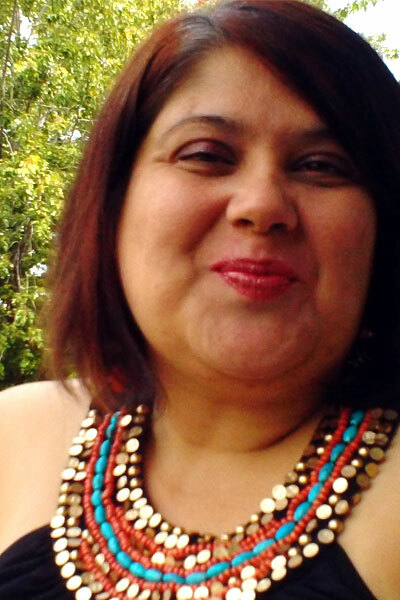 Her other published work includes The Panza Monologues co-written with Irma Mayorga (University of Texas Press). Virginia is a recipient of the Whiting Writers’ Award, the Princess Grace Award in Theatre Directing, the Playwrights’ Center’s Jerome Fellowship, the Loft Literary Center’s Spoken Word Fellowship, Pregones Theatre’s Asuncion Award for Queer Playwriting, and is a Time Warner Fellow Alum at the Women’s Project Theatre Lab. Her work has been produced, commissioned and/or developed at the Alliance Theatre, Bihl Haus Arts, Company of Angels, Cornerstone Theatre, Highways Performance Space, Playwright’s Center, Pregones Theatre, REDCAT, Victory Gardens, Women’s Project and Yale Repertory Theatre.